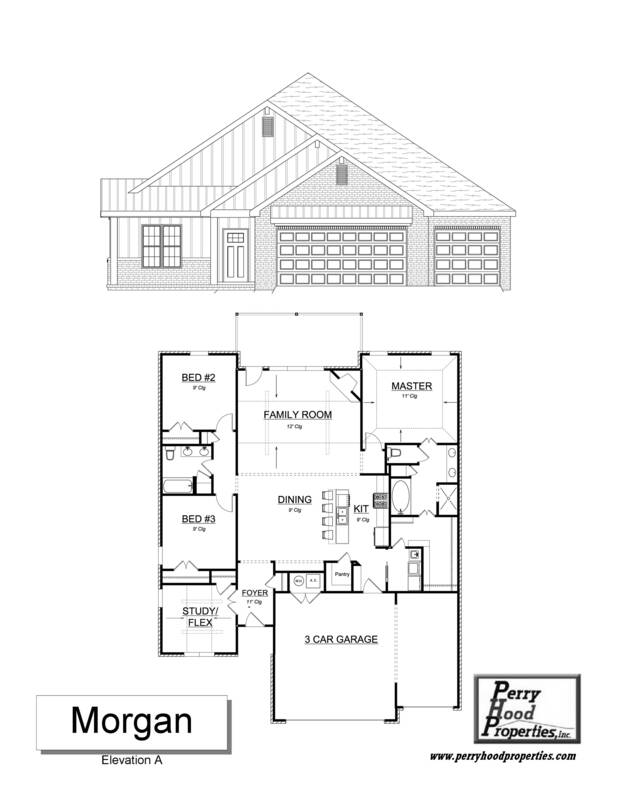 This Perry Hood Properties, Inc. 1 story floor plan has 4 bedrooms or 3 and a Study, 2 baths and a 3 car garage with approximately 2150 sq. ft. Open kitchen and dining with walk-in pantry. Large vaulted living room. The utility has sink and access to very large master bedroom walk-in closet. Wood burning fireplace. Double vanity in hall bath with linen closet. 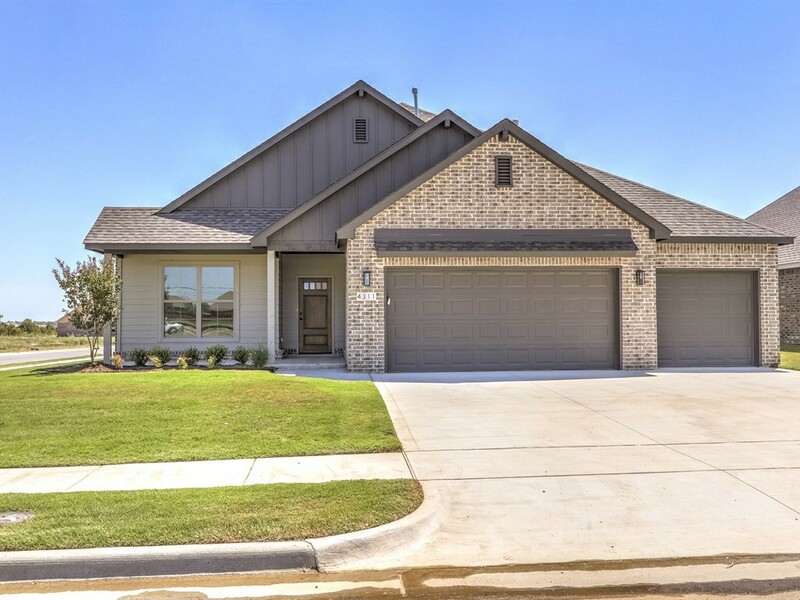 Your choice of Craftsman or Contemporary style exterior! Make this home yours! Jay Rambo cabinetry comes standard throughout this beautiful home.